The salty, sandy soil on the north coast of Santa Cruz County, California, makes it ideal for growing artichokes. In the 1930s, it was also the perfect place for racketeering. 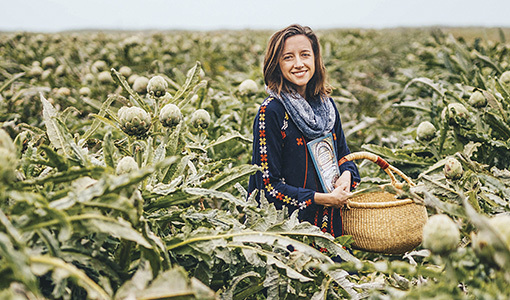 Back then, artichokes were so popular that some heavies from the Union Pacific Produce Company decided to lowball farmers, then sell the crops for more than double the price they paid. To keep complainers in line, they roughed up push-cart peddlers and sabotaged trucks. “This story has all the violence, deceit and mobster-esque excitement of the Prohibition Era,” write Jody Biergiel Colclough, N06, and co-authors in their new book about Santa Cruz food history, Harvesting Our Heritage (scheritagefood.com). The “Artichoke War,” as the press dubbed it, came to a head in 1935, when New York City Mayor Fiorello La Guardia swore no artichokes would enter his city until the racketeers were caught. They were soon tried and found guilty.